BFF’s since they were babies! Each girl had their own cake and cupcakes to share with all their girlfriends!! I thought it was pretty cute!! 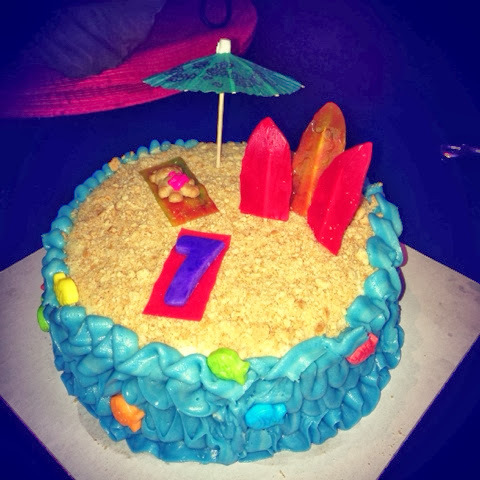 This entry was posted in Uncategorized and tagged Birthday, cake, cupcakes, kids birthday party ideas, Mama Bird Nest, Mama Bird's Nest, Teen Beach Movie. Not sure how I forgot to post about the yummy treats I made for j’s party!! I even made all my own printables! for the food and “super shot”! Pop on over to see the decor , all which I up-cycled from my garage or borrowed! And to see the invite I made!! lime gatorade, dash of sprite & pop rocks!!! Everything about this food was fun and worked perfectly with the “SUPER” theme! This entry was posted in Uncategorized and tagged Birthday, Birthday Cakes, cupcakes, Hickory Cake Baker, Hickory NC wedding cakes and cupcake wedding cake, Jack, Mama Bird's Nest, party food, party planning, party printables. Pumpkin Dip: easiest ever and so yummy!! That’s it. Almost embarrassed to print it is that easy! It is super light a fluffy! This entry was posted in Uncategorized and tagged cupcakes, Fall, Hickory NC, Mama Bird's Nest, Pumpkin, pumpkin dip, Sally and Co.
Carson’s 4th Birthday was super fun! I loved making this Star Wars cake. His mom, Heather Machut is an amazing photographer and she took these great pics! adorable banner Carson’s mom made with her cricut! Wasn’t this a great party? This entry was posted in Uncategorized and tagged cupcakes, Mama Bird's Nest, party, party food, Party Ideas, Party Planner, party planning, Star Wars Birthday Cake, Star Wars Cake. I loved the idea of a bird theme baby shower and I thought this sweet cake and cupcakes for just fantab! What do you think? 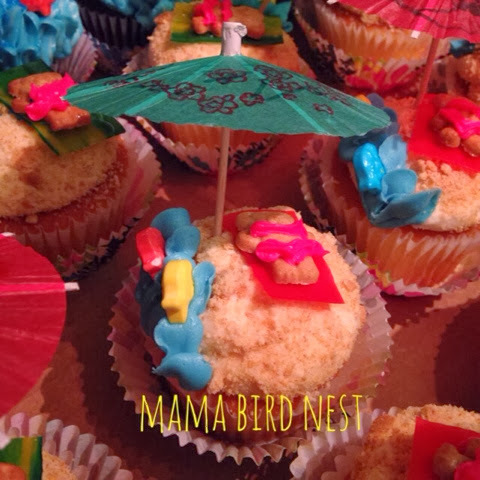 This entry was posted in Uncategorized and tagged bird baby shower, bird cupcake, cakes, cupcakes, Mama Bird's Nest. I had the honor of making this years cake for the American Cancer Society’s Survivors Dinner and Relay for Life kickoff party! ACS is close to my heart and I will always donate what I can to them. This entry was posted in Uncategorized and tagged American Cancer Society, cakes, cupcakes, Cupcakes for a Cure, Mama Bird's Nest, Relay of Life. Need a special gift for your kids teachers. girlfriends, kids class party? more flavors may be add in the next few weeks. Call or email for any special request or questions and to reseve your box!! This entry was posted in VALENTINE'S DAY, Valentines Treats for Kids, Valentines Treats for preschool and tagged cupcake, Cupcake Tuesday, cupcakes, Mama Bird's Nest. All will be dressed and ready to go for your Easter celebration. Choose from kiddie fun or chic Easter. Orders must be received by midnight on Wednesday. Specify if you want to pick yours up on Friday or Saturday. This entry was posted in Uncategorized and tagged cupcake bakery, Cupcake Tuesday, cupcakes, Easter, Hickory Cake Baker, Hickory NC, Mama Bird's Nest. Congrats to the beautiful Erika and Will! I was so excited to do cupcakes for their wedding! Thank-you to J Panache Photography for the beautiful images. I made chocolate and my very popular red velvet with cream cheese butter cream vanilla bean frosting! This entry was posted in wedding and tagged cupcakes, Hickory Cake Baker, Hickory NC wedding cakes and cupcake wedding cake, Mama Bird's Nest, Photographers in NC. Thanks to Annie Eats I found this yummy recipe that I adapted a little to fit the theme of PEPSI!! Some dear friends are celebrating the upcoming nuptials of the heir to to the local Pepsi thrown! For the topper/décor I wanted something that would be fun and still go with the Pepsi theme I came up with a little soda bottle gummy candy, sugared cherries and Pepsi bottle caps. I glue gunned tooth picks to the back! I think they turned out super cute!! The cupcake was quit good, very similar to a red velvet just a lighter cake. What’s baking in your oven? This entry was posted in wedding and tagged Cherry cupcakes, cupcakes, Mama Bird's Nest.